I can't resist checking out an artist at work. 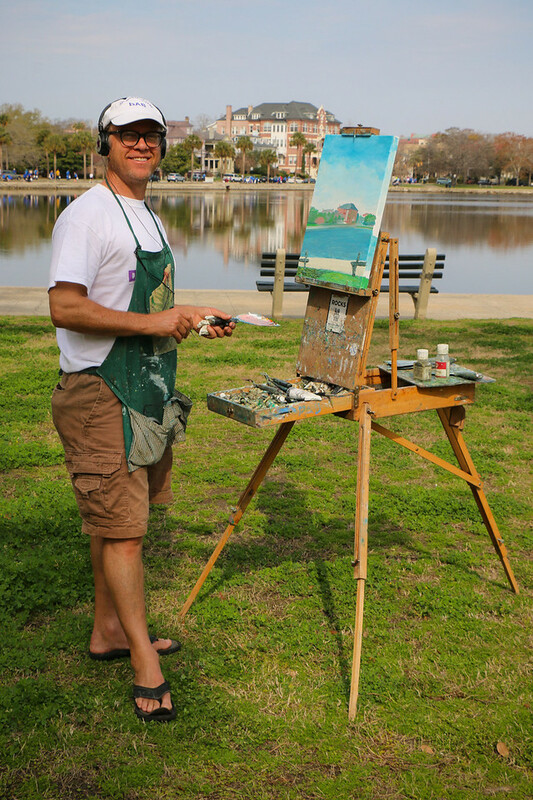 In this case he was painting the old Baker House or the old Baker-Craig Sanitarium across Colonial Lake. I love, love, love it staying light later. I worked late, enjoyed a walk in daylight, made dinner all for me, grilled veggies on the grill, did a little yard work. Aaaaah. 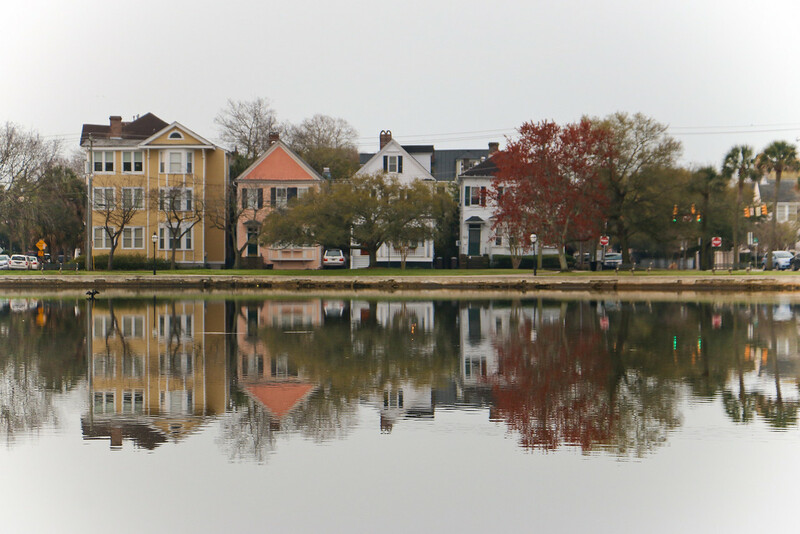 It looks like it is going to be a lovely week in Charleston. This looks like the life! 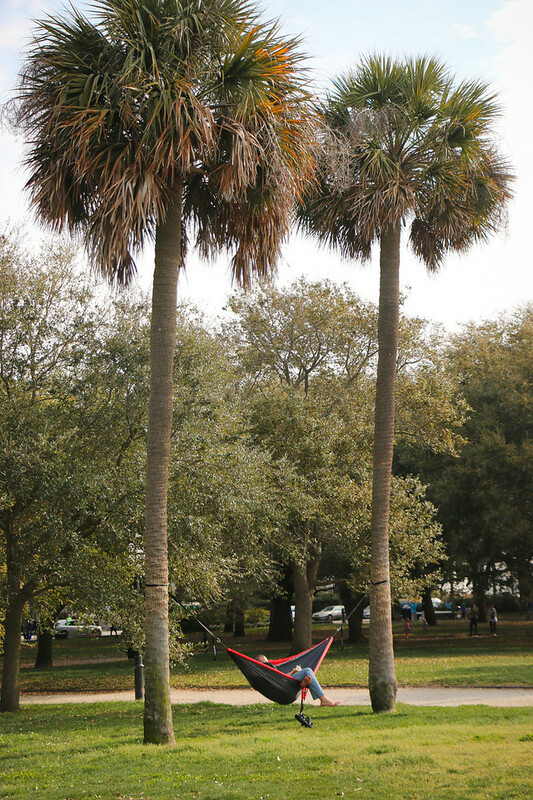 These hammocks have been popping up all over. They look quick to set up and down and so relaxing. I picked up the West of Newspaper and it took me a few startled minutes of reading before it hit me that is was their April Fools issue. Enjoy! 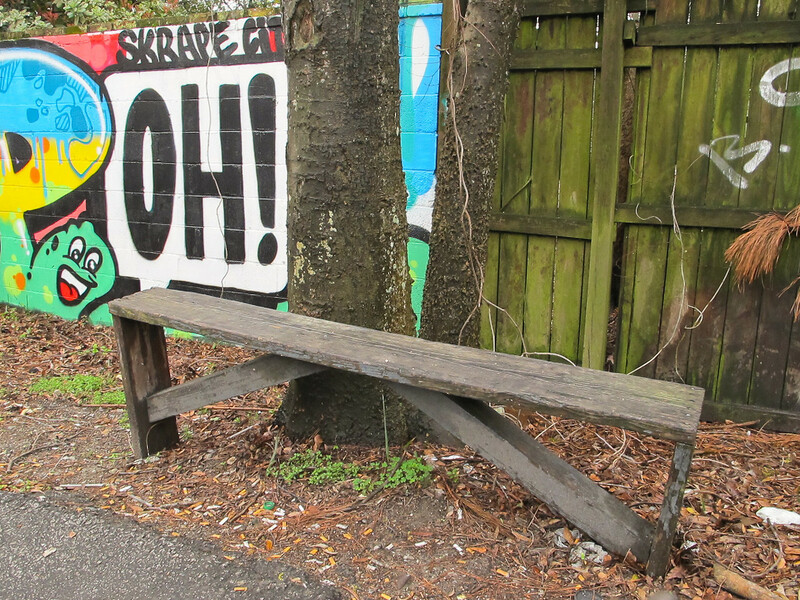 This article about renaming West Ashley cracked me up. 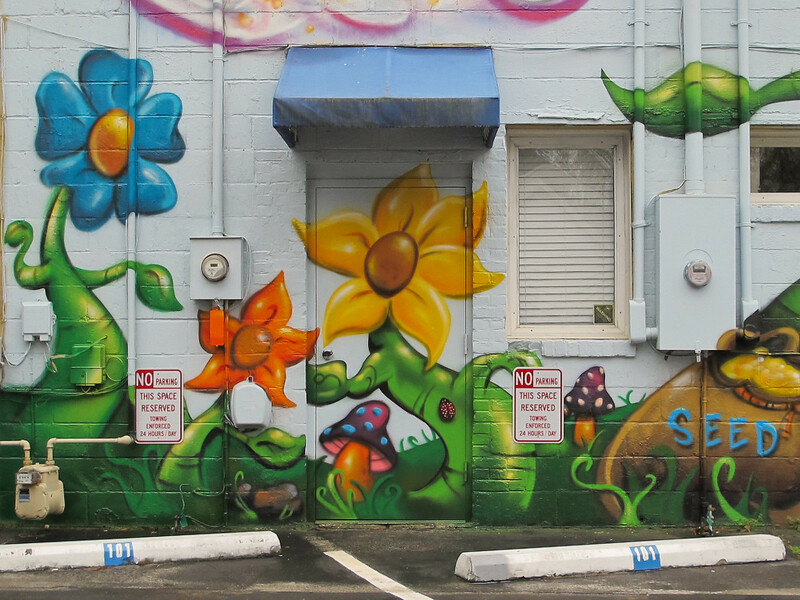 It's always worth a detour behind the businesses in Avondale and this time I caught up with quite a few fresh mural works. I even spotted a couple of gentlemen unloading cans of paint so I'll need to check back soon. 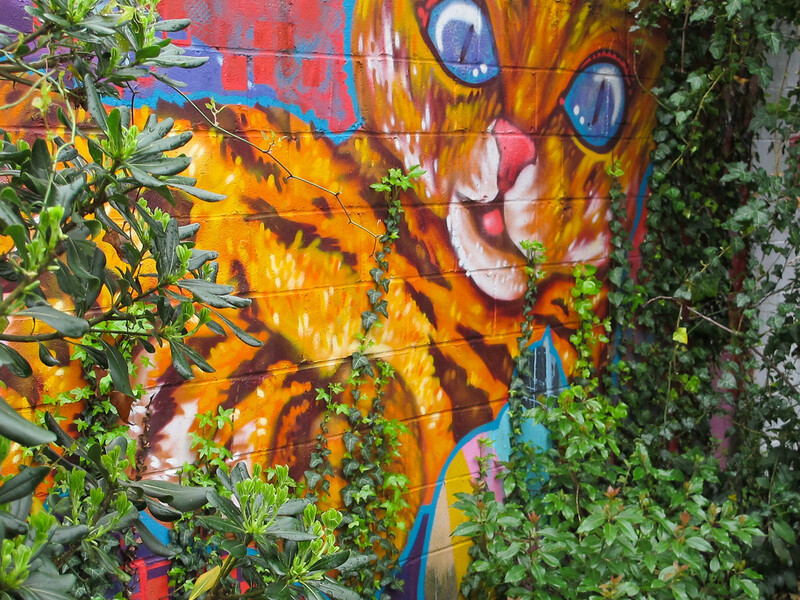 Check my smugmug album for more photos of Charleston mural art. I hope everyone has had a good Saturday after we dried out from the downpour we had this morning. Fratello's Tavern, North Charleston, S.C.
Friday nights are hopping in old North Charleston along the Park Circle neighborhood on East Montague. I've been there often for brunch on Sunday morning but it is a different story in the evening. It felt very vibrant and alive with activity even in last night's light drizzle. Betina Miller from Thoughts from My Corner of the Couch and I go away back in blogging years and finally got to meet! Betina was in town with husband Dave to visit with family at today's bicycle races and we met up for the first time and enjoyed dinner at Fratello's Tavern. 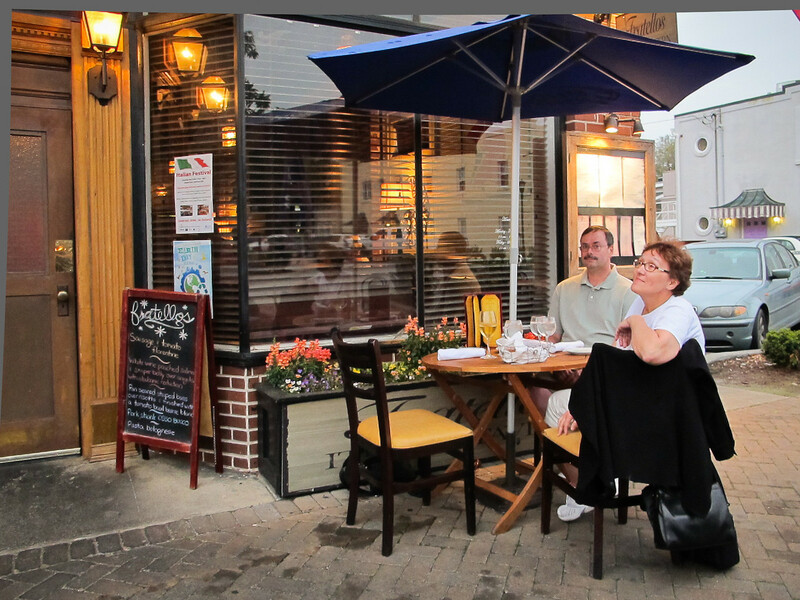 We started checking the wait time at each restaurant along the street and finally found the hostess at Fratellos so charming we couldn't resist. She got us started outside, loaned her jacket and then when it started to rain moved us back inside. We had a lovely evening and gossiped about all the other bloggers we'd met and the ones we haven't :)). Fun times. 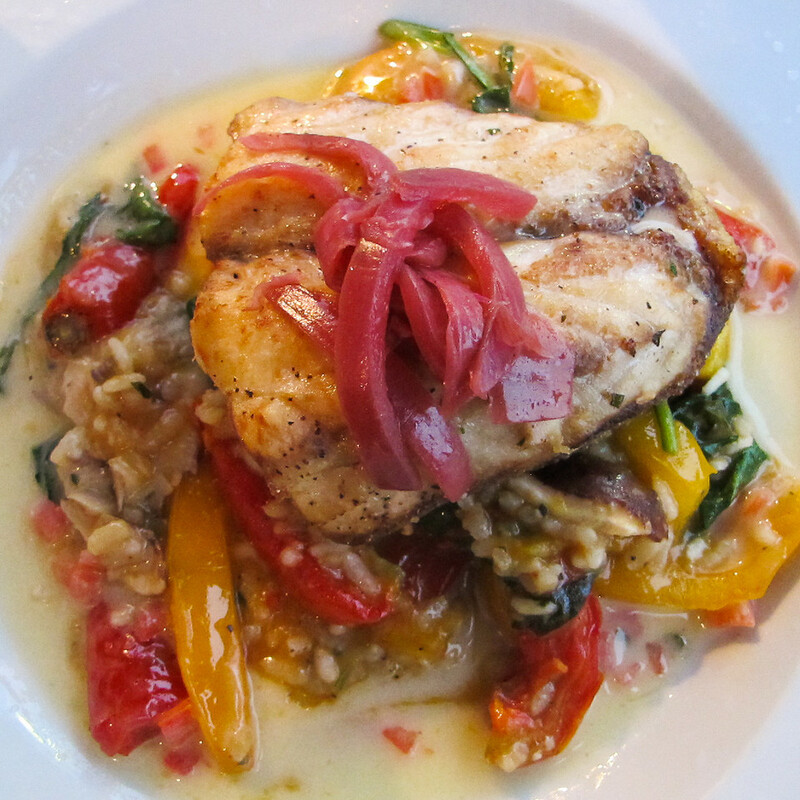 My sea bass was scrumptious! 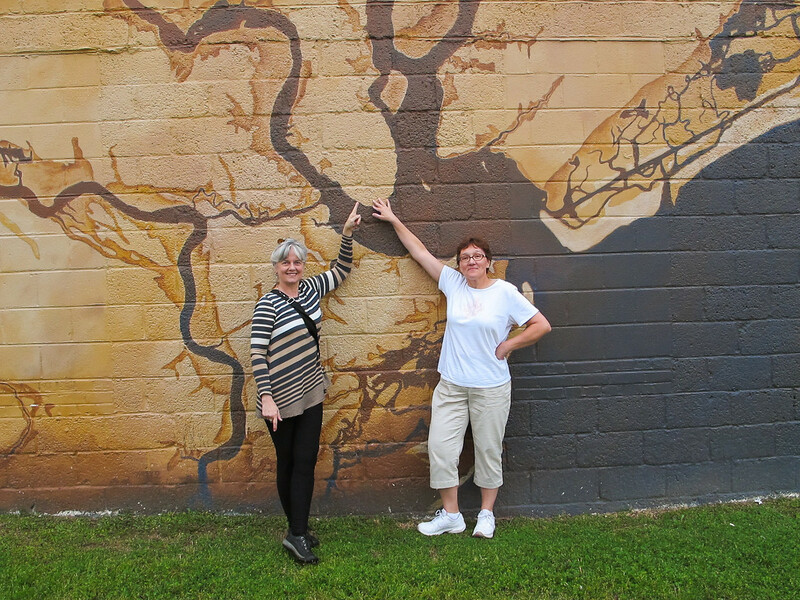 I had a couple more pictures to share from last weekend's day trip to Elloree, S.C. Tada! Here is a little fixer upper for you. It comes pre-decorated and even the Caterpillar is for sale. I've had a busy week, kids. Let's run away. To start with I am running up to North Charleston for a meet up with a long time blogger buddy. Those are always fun. 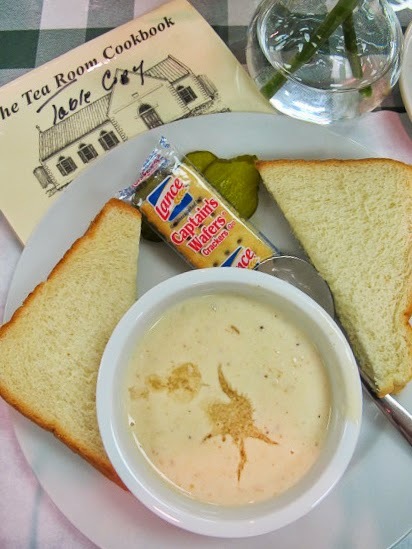 Crab soup, chicken sammies & coconut cake, oh my! 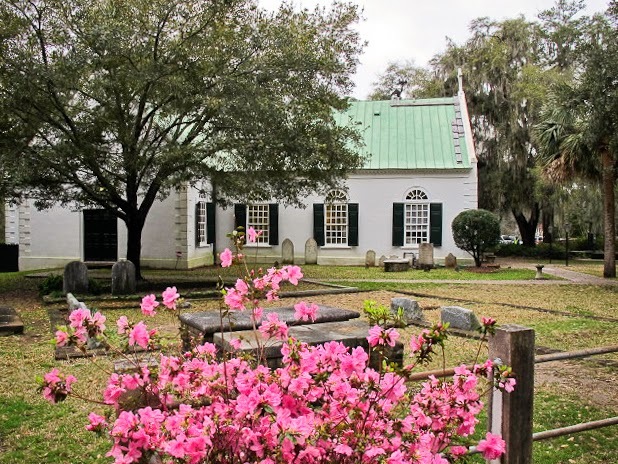 Old St. Andrew's Tea Room Lunch, Charleston, S.C.
Church Tea Rooms are a lowcountry phenomenon and if you haven't gone yet you'd best make your plans soon. There isn't anything special about the menu and it hasn't changed for years. 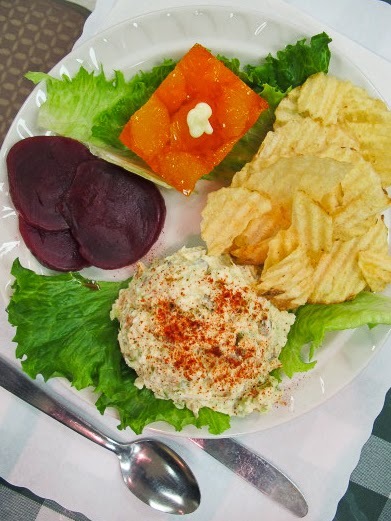 It is exactly as it should be - chicken salad or shrimp paste sandwiches on white bread, crab or okra soup and orange congealed salad. 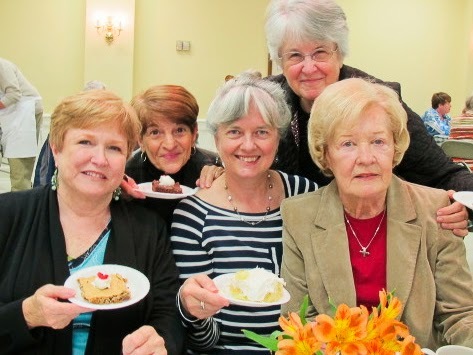 There is a selection of desserts but I swear by Mizz Arlene's coconut cake and get it every year. 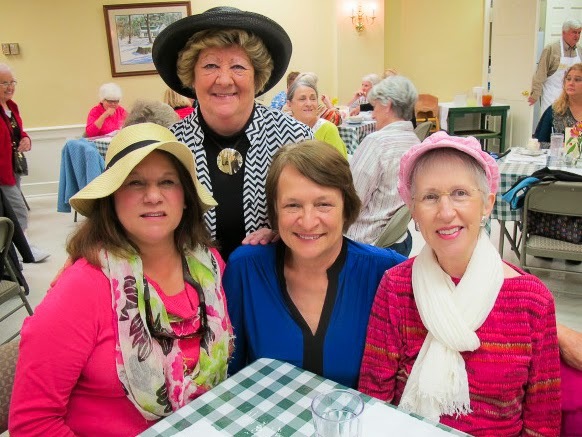 Church members work staffing the entire event and it is the one main fundraiser for the historic church. The event ends on April 5th. I knew half the people there and got enough hugs to last me until next spring. Many of them were my current hospital volunteers, some had helped me out years ago and others were fun facebook friends. It was like Old Home Week and I loved every minute of it. 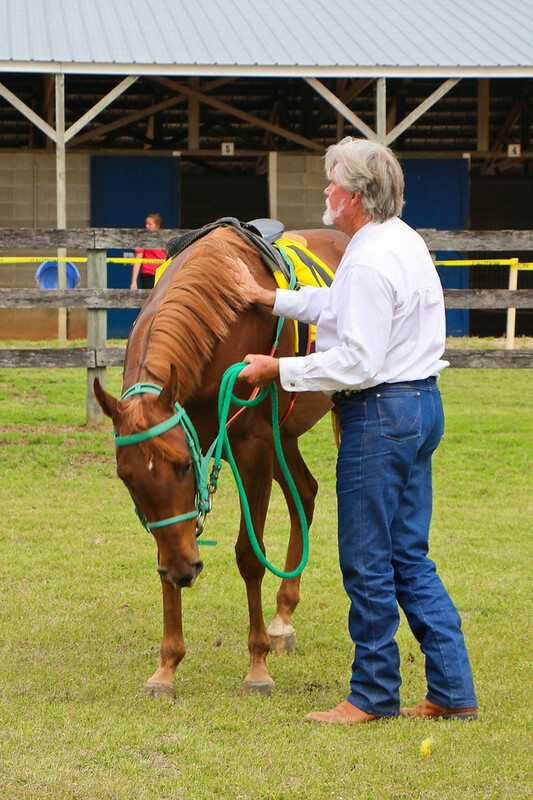 Forget that silly reality show, this gentleman is the real southern charmer. 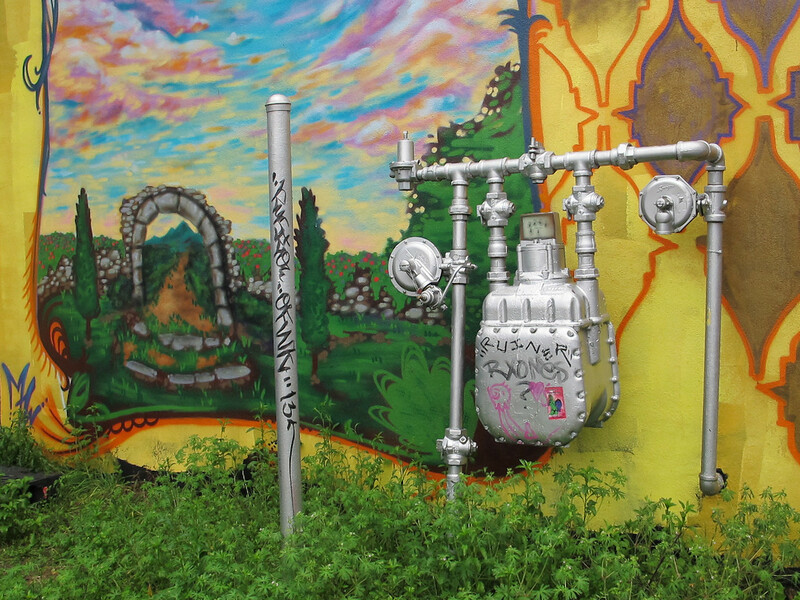 Congratulations to Holy City Sinner for winning the Charleston City Paper's Best Local Blog category. 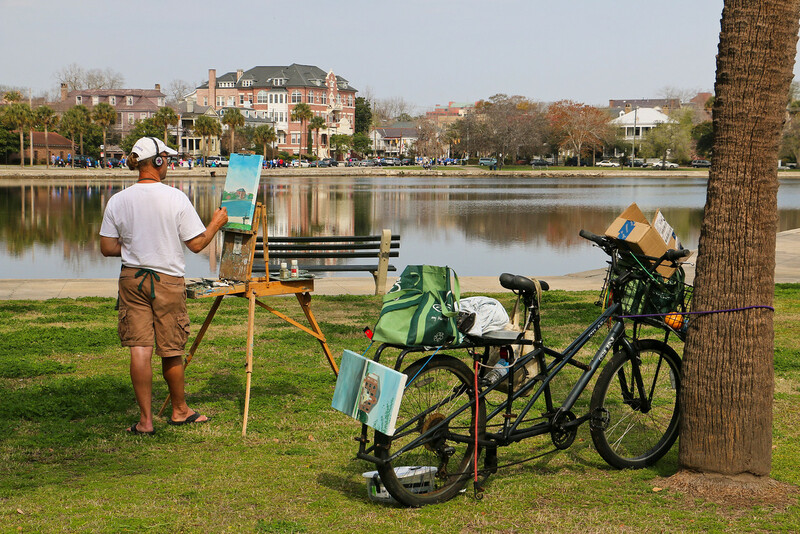 Bookmark his page to keep up to date on your lowcountry calendar of activities. This was a new one for me! 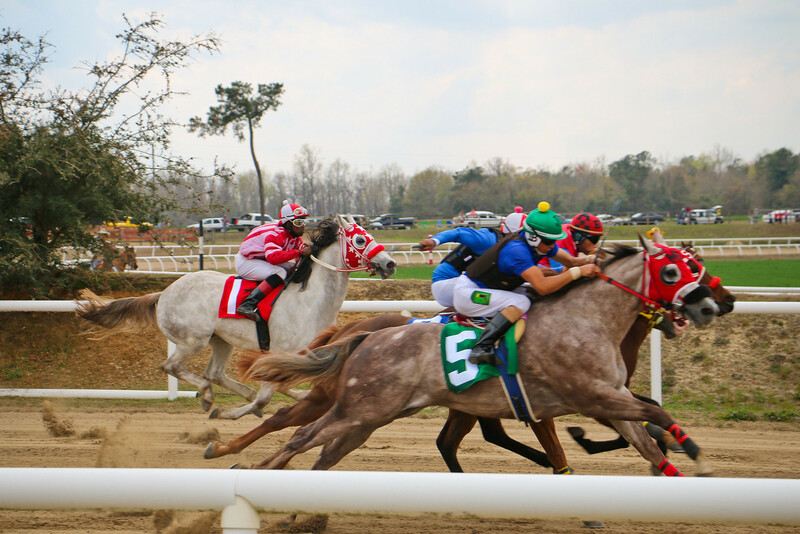 I had never been to a horse race before and happened to land in Elloree, S.C, on the one day of the year that the Elloree Trails were held on Saturday. 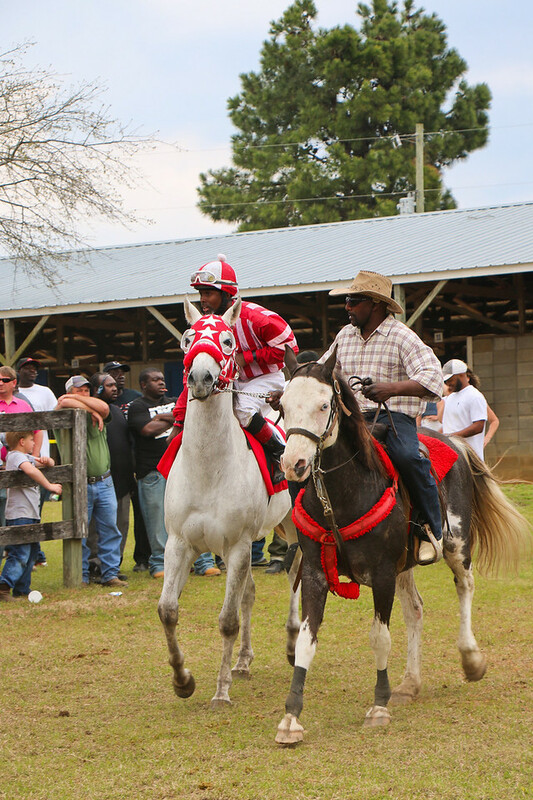 This is rural South Carolina so may not match the description of other horse races but this was pretty darn cool and the diverse and festive crowd seemed to be having a grand time. So did I. 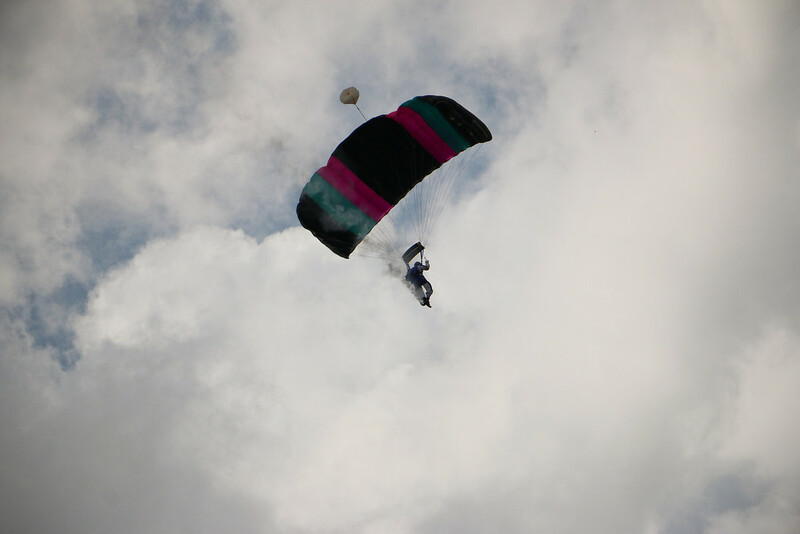 They had a lancing competition and sky diving demonstration as well as a day full of racing event. 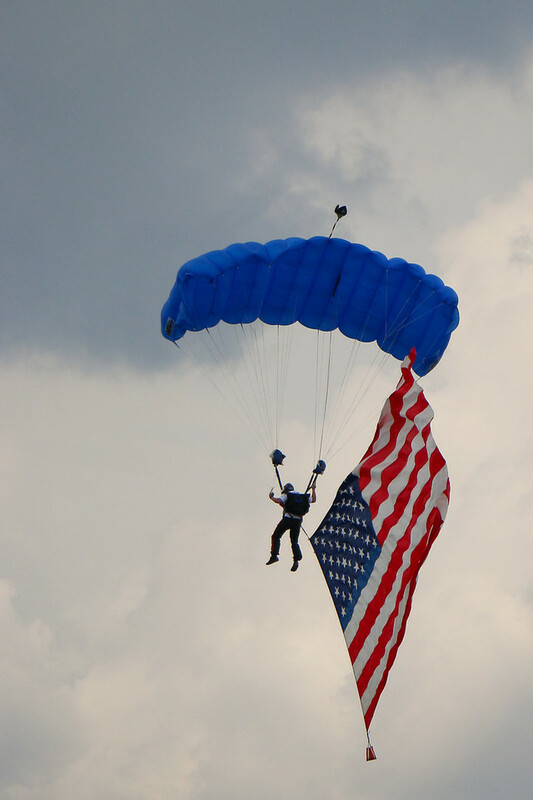 Sky diver with U.S. 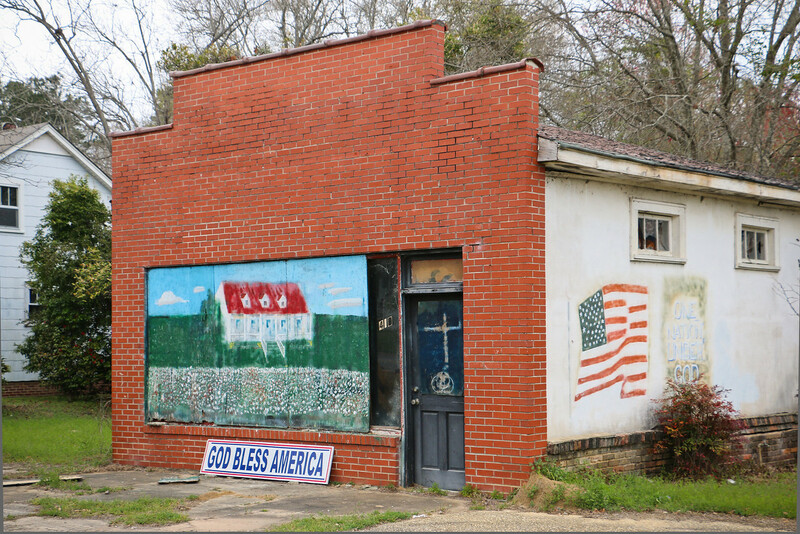 Flag, Elloree, S.C. 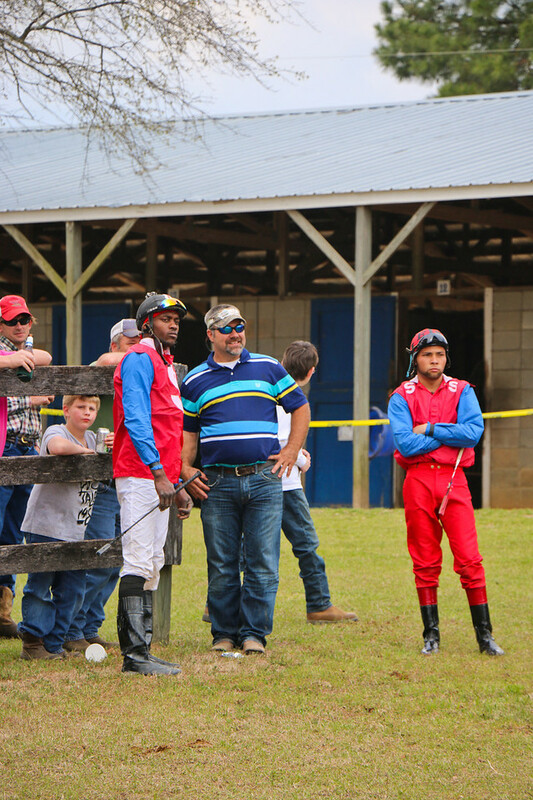 I had an interesting experience on Saturday at the Elloree Trials horse races - a new one for me! This was the welcoming sight as I arrived. Three sky divers landed on the field. 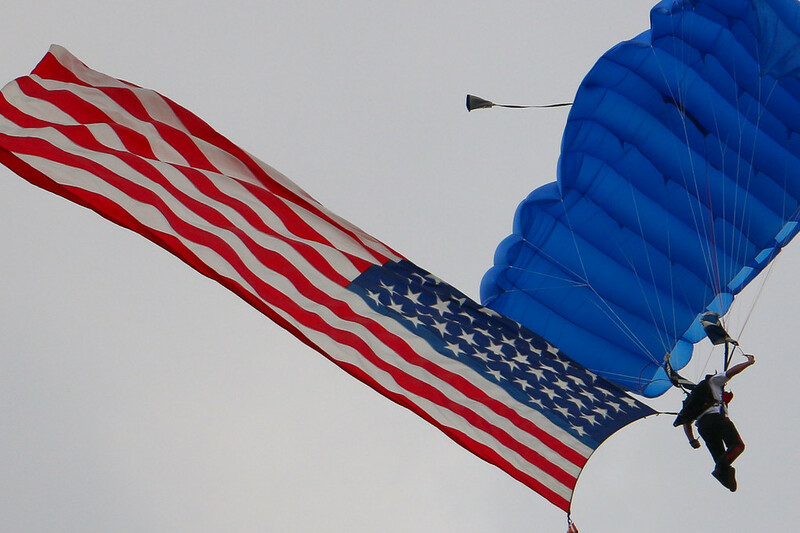 The one below had a smoke trail and this one had a huge flag flying. It was a dramatic sight to see. I just cleaned up after had a nice dinner party for a few of my volunteers. I do work with some grand people. I've had a non-stop weekend and am trying to do a little cooking and cleaning in between activities since I invited a few of my volunteers for dinner tomorrow night after work. I made these mini chocolate cheesecakes and have my fingers crossed that they taste as good as they look. I have many more photos to process and post but these are a few from yesterday morning. 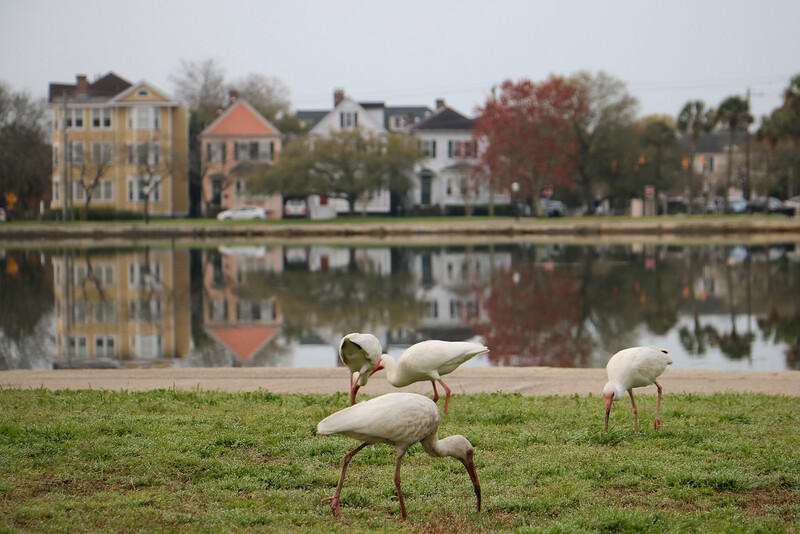 I parked close to Colonial Lake before the Walk for Water early in the morning and caught this action. What a pretty scene. I've been fascinated by reflections lately and this one was a gift. Congratulations to Post & Courier for winning 93 state journalism awards at their annual banquet on Saturday night. 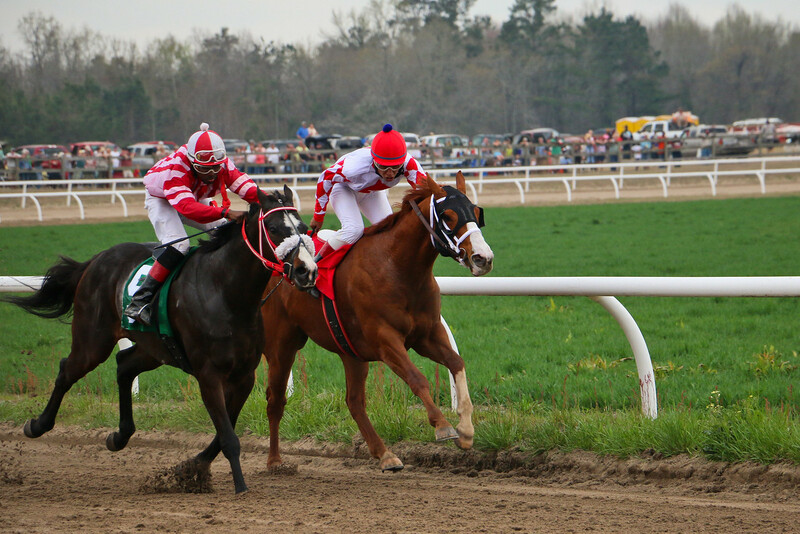 Photographer Grace Beahm was named photographer of the year by the SC Press Association. I always enjoy seeing her work in the paper. Congrats to Andy Paras for Best Use of Twitter. 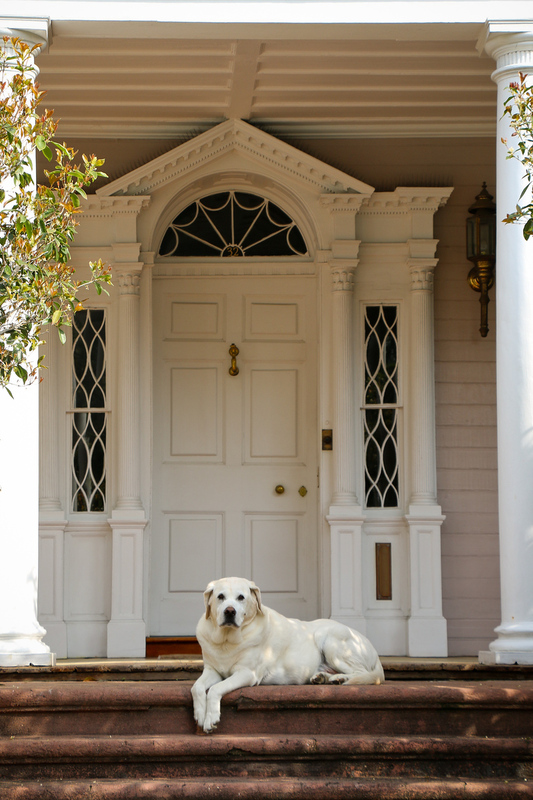 Yay, Charleston! I get most of my news online but am an old style hold out and read the paper with my morning tea. I enjoyed brunch with my son at Madra Rua this morning and then a walk on Folly Beach this afternoon. Time for a rest and cuppa tea. What a lovely weekend. 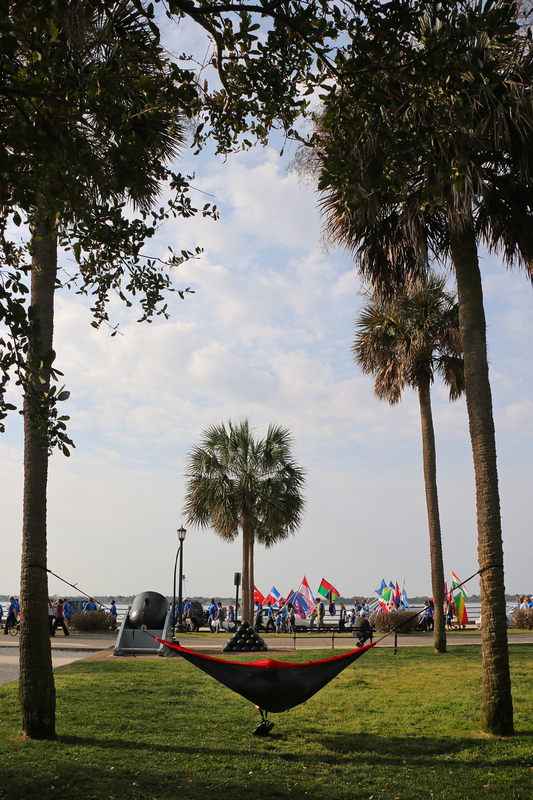 Walk for Water, Charleston, S.C. 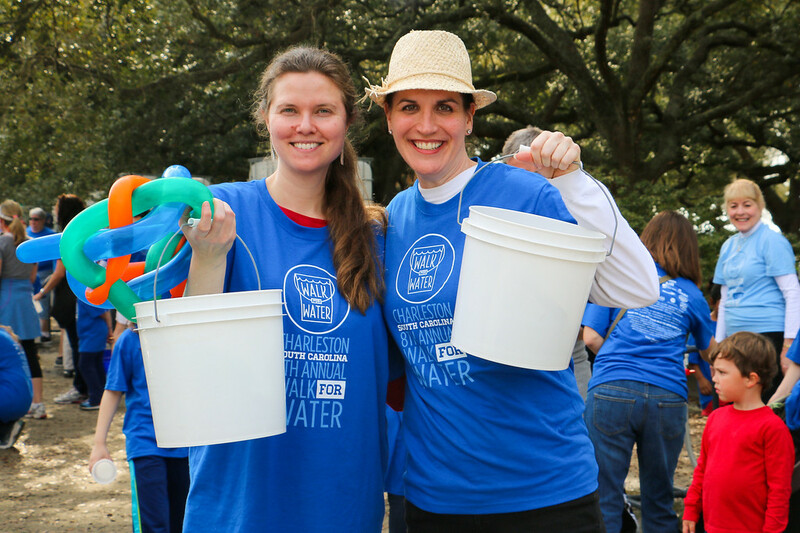 I had an early start this morning joining hundreds of other people at Cannon Park for the Walk for Water coordinated by Water Missions International. 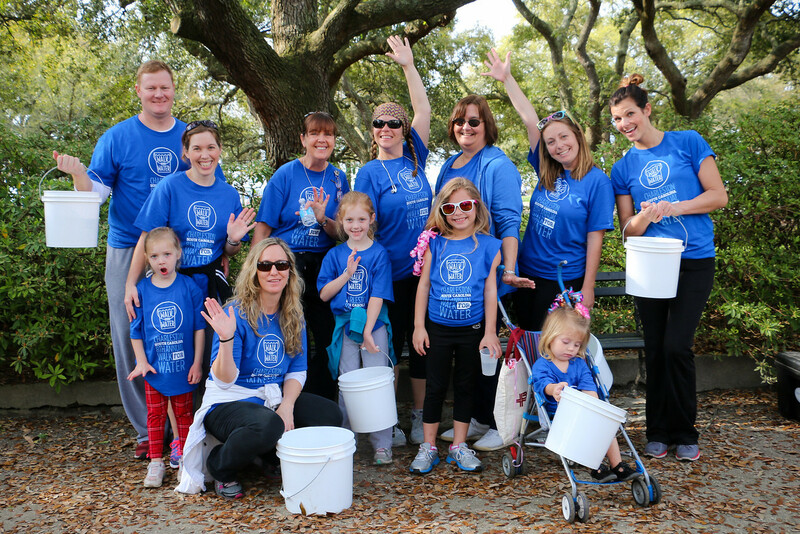 It is nice to be part of something that is as life changing as clean, pure water can be and we are particularly proud that this project began and is based right here in Charleston. More photos uploading here. 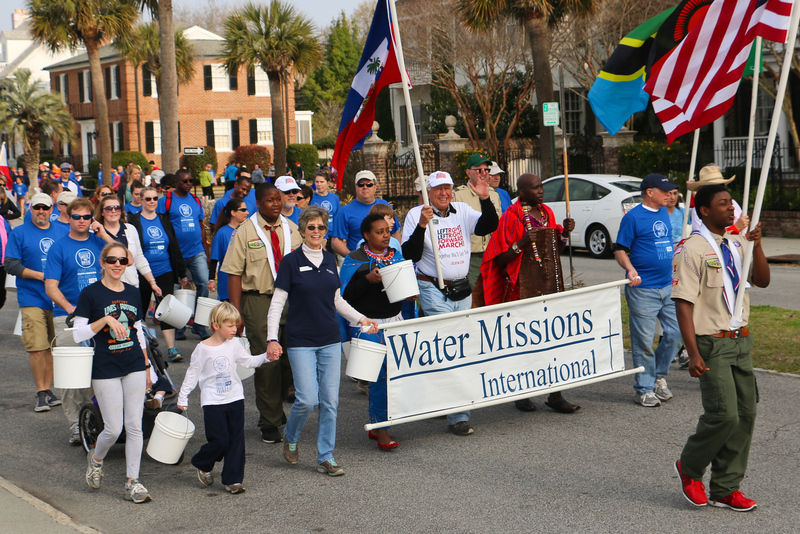 Water Missions International is a nonprofit Christian engineering organization providing sustainable safe water and sanitation solutions for people in developing countries and disaster areas. 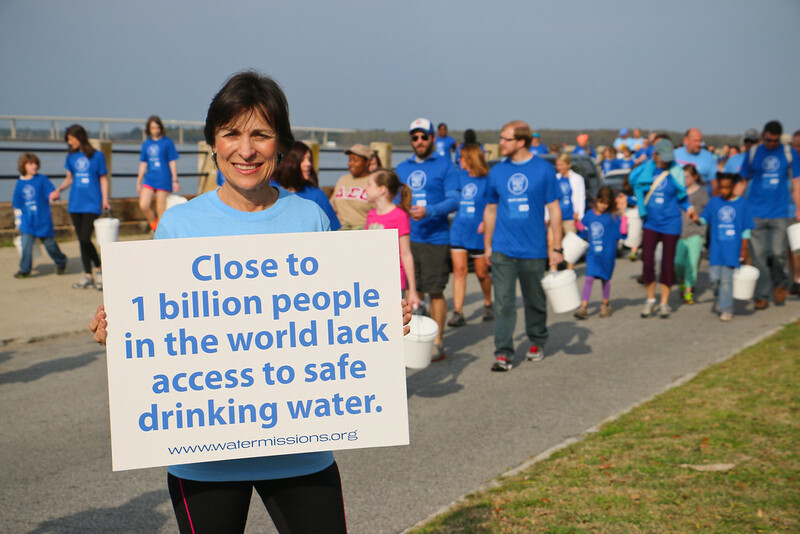 Safe water is the source of life. 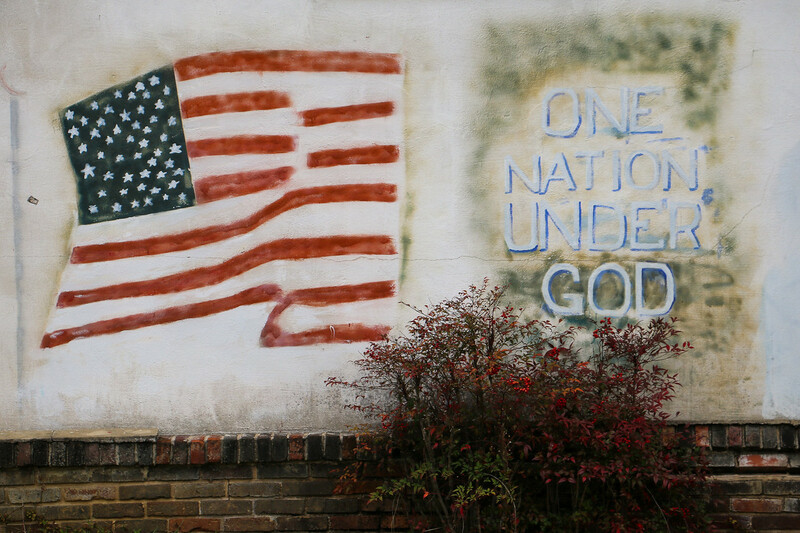 It is the foundation for health, education and viable economies. 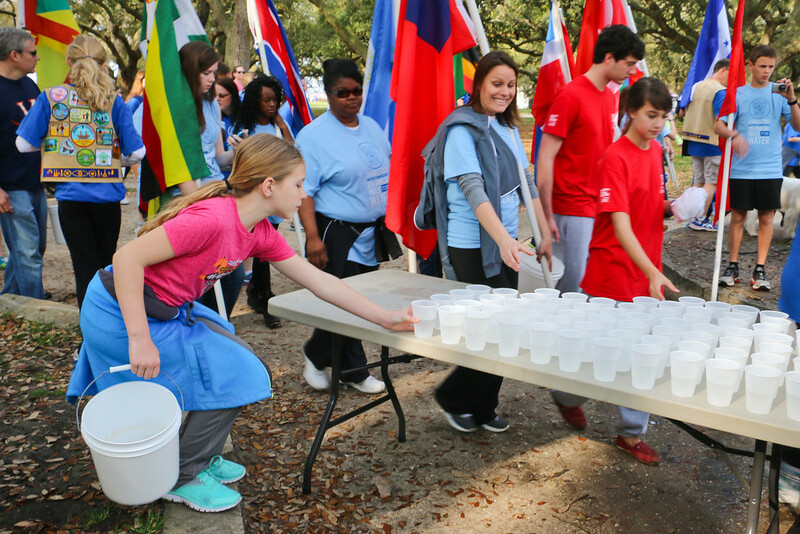 Through the generous support of individuals, churches, our corporate partners and many others, Water Missions International has brought relief and hope to more than 2.4 million people across the globe. 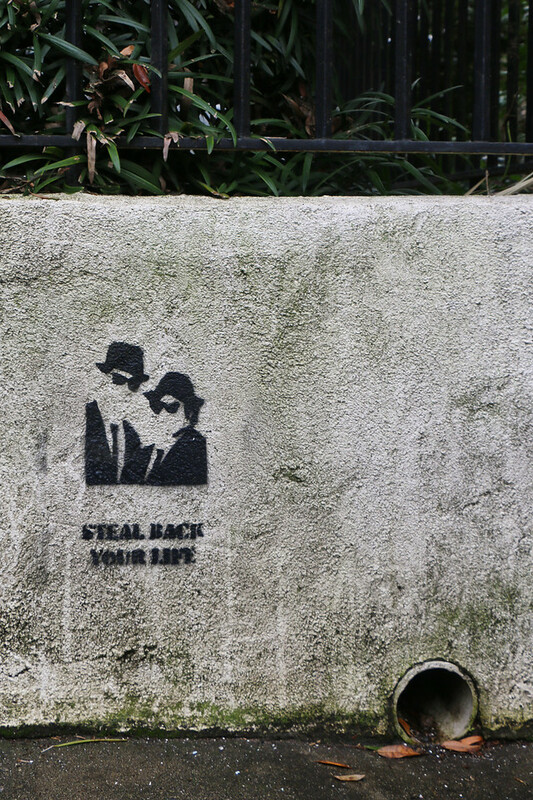 Steal Back Your Life, Charleston, S.C.
Oooooh, I try so hard not to glorify vandalism but you know how much I like this kind of thing. Shame on them. They shouldn't do it on private property but I've had two glasses of wine with dinner and I'm letting this one slip by. Now, here is one I featured on Facebook but not here.....I thought it was very nice of them/him to leave such a thoughtful message for me. I drove extra carefully on the way home. 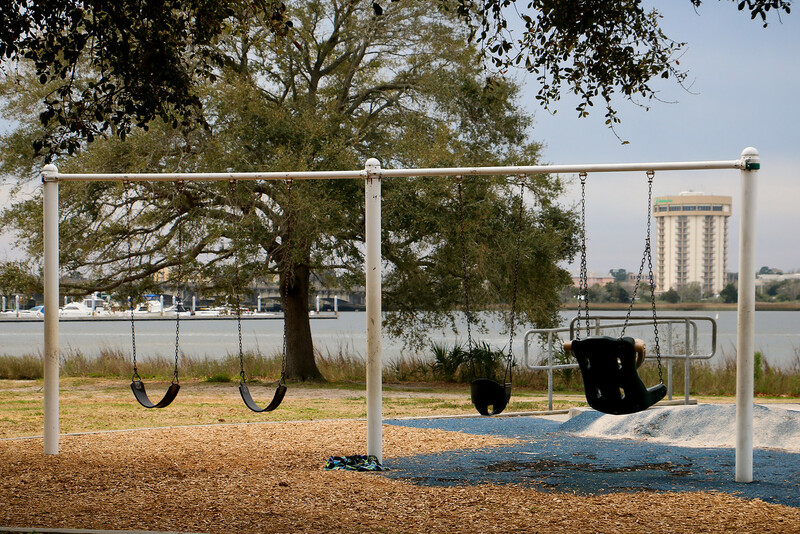 Playground, Brittlebank Park, Charleston, S.C.
You could swing for hours here overlooking the Ashley River and for a few minutes I caught it without children on it. I helped build this playground many years ago with Dr. Rick Reed. It is a park partially designed so kids in wheelchairs can play along and it has elevated ramps for wheelchairs. The playground looks like it is holding up pretty well. I didn't want to scare parents by taking pictures of the rest of the play area with the kiddies playing. Carry on children. Crazy camera lady has moved on. In this case, rather than a before and after shot, it is before and soon to be before. 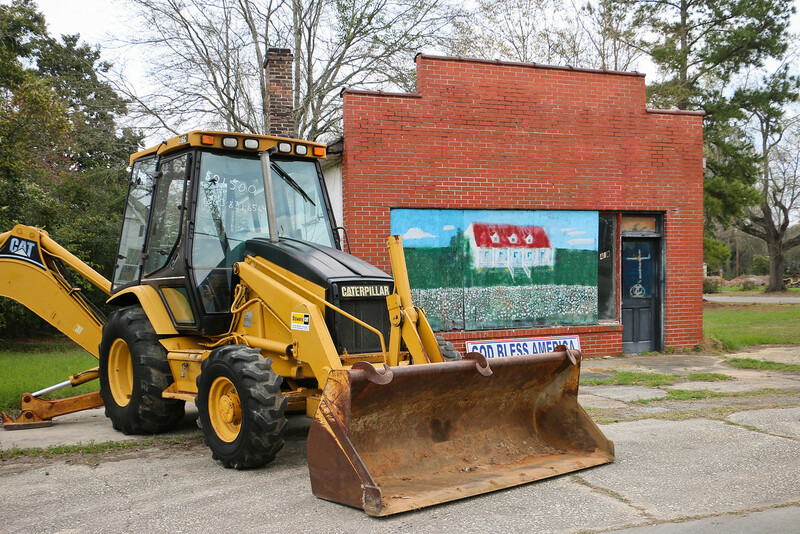 This old view of Harold's Cabin at President and Congress Streets is being considered for a new project by partners including Bill Murray (Yay!) according to Eater.com. 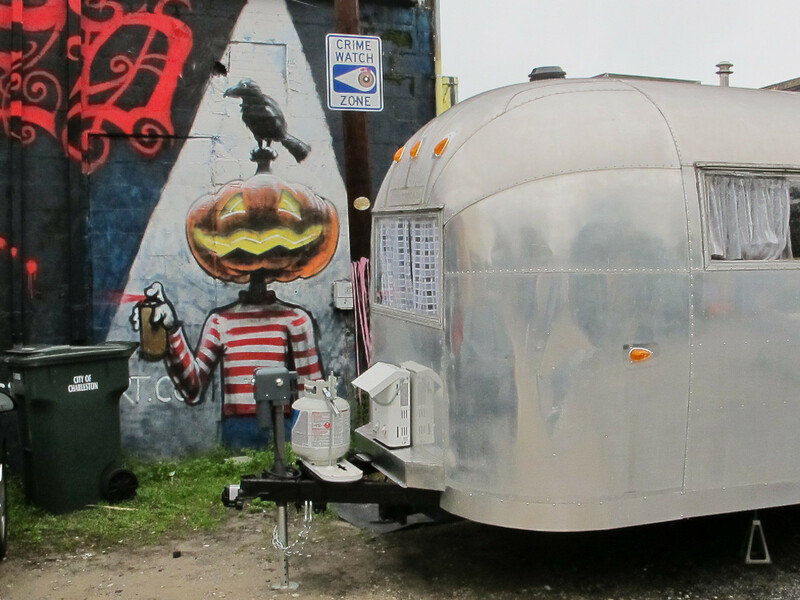 Eater.com: Say hello to Harold's Cabin. 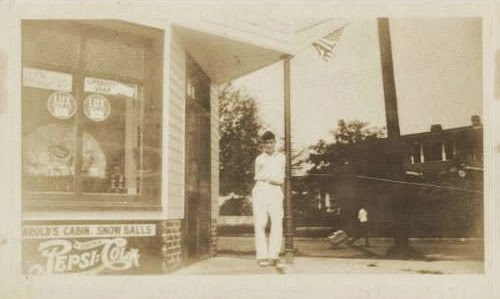 Harold's opened in the 1920s as a snow cone shop at the intersection of Congress and President Streets, expanding to a high-end grocery store and lunch spot by the 1940s. 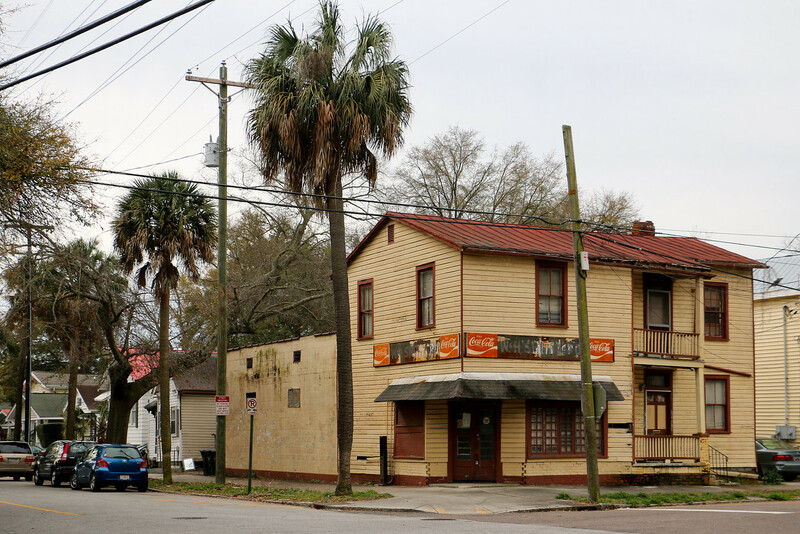 A group of Charleston tastemakers from downtown home building/renovating outfit Yarrum Properties, including Charleston celebrity Bill Murray and Riverdogs guru-o-fun Mike Veeck, hope to bring back the late Harold Jacobs' fine foods concept to 247 Congress St. this fall. The menu isn't finalized, but the concept is a fresh market cafe, with full-service breakfast, lunch and dinner, according to Yarrum's project manager Ben Danosky. The two-story building will seat up to 65, in addition to an all-day grab and go grocery focusing on fresh fruits and vegetables, as well as kitchen staples like milk. The restaurant is keen on using local products and will feature a small menu with 6-8 items for breakfast and 10-12 items for lunch and dinner, along with 2-4 daily specials. The rooftop area of the building will house a restaurant garden with herbs and veggies to be used in the kitchen below. I need to start walking with a partner so I can make them pose in this follow-up shot. 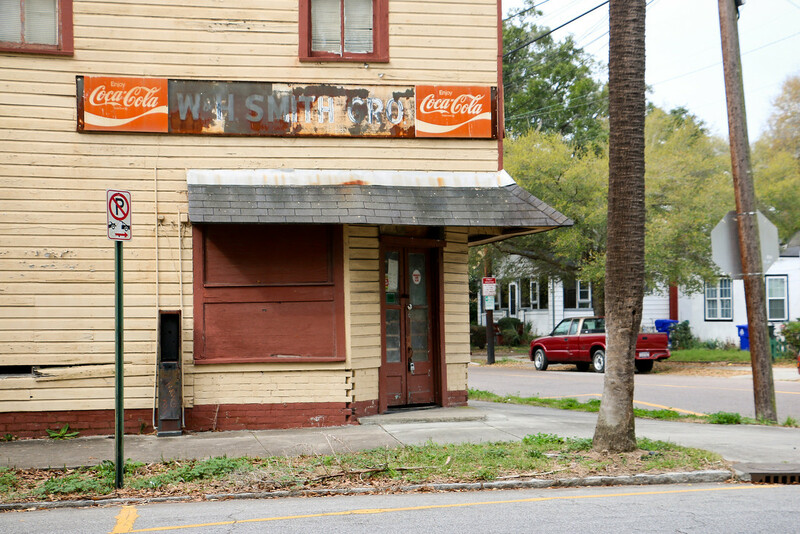 Bill Murray needs to stand on that corner before they renovate. 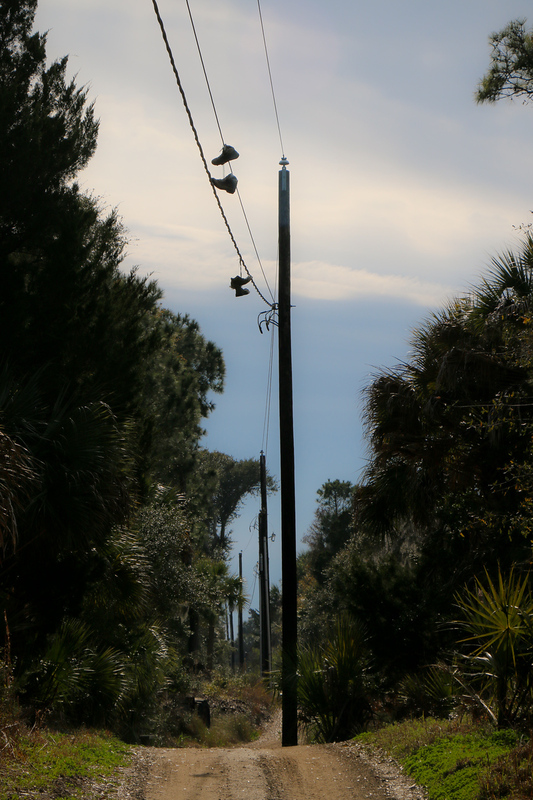 Shoes on a wire, Goat Island, S.C. There are pages of suggestions for the meaning of shoes hanging from a power line, although I expect for the most part it is just fun to sling them in the air and see if they catch. If the third fact is correct then there are some lucky gentlemen on Goat Island. This picture also answers the question of whether there is electricity on Goat Island. 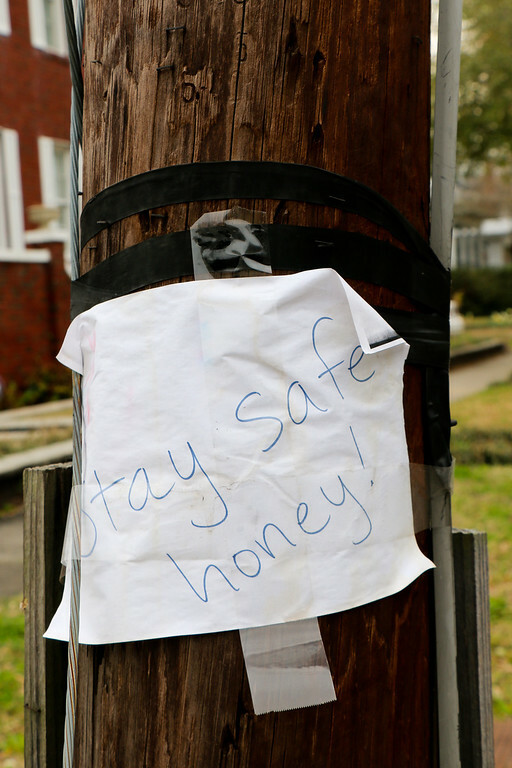 Shoes hanging from power lines are also known as 'Shoefiti'. Shoe Tossing may indicate gang activity, but the practice has been found in rural areas where there's not even enough people for a gang. Shoes hanging from power lines in Scotland may indicate that a man has lost his virginity somewhere close. A couple of shoes on a wire are nothing compared to what I found in related searches. Check out the images on Shoe Trees! Wowza. We are slacking. 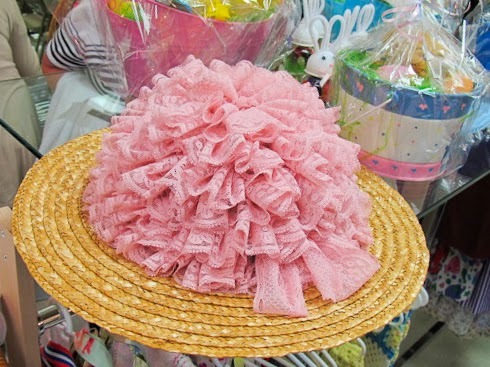 These seem to be popular out west. 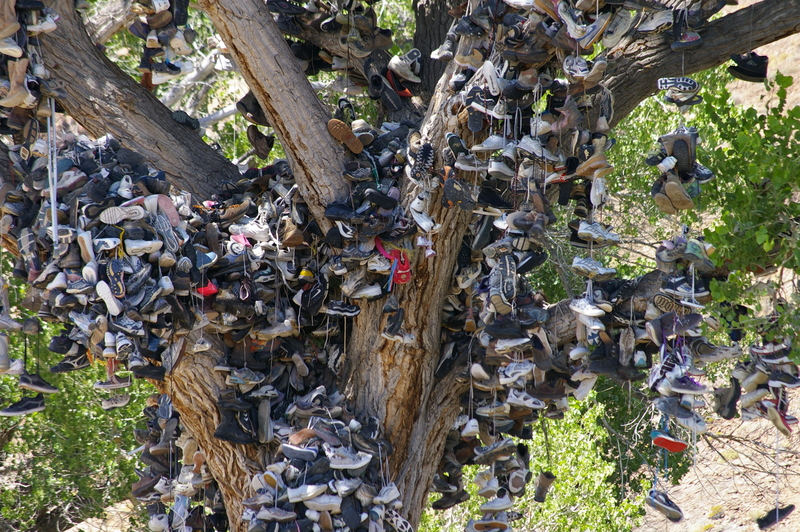 We need a shoe tree! Kids do it just because it's fun. And besides, what else are you going to do with a worn-out pair of sneakers other than tie the laces together and toss them high? It's the work of gangs marking the boundaries of their territory. 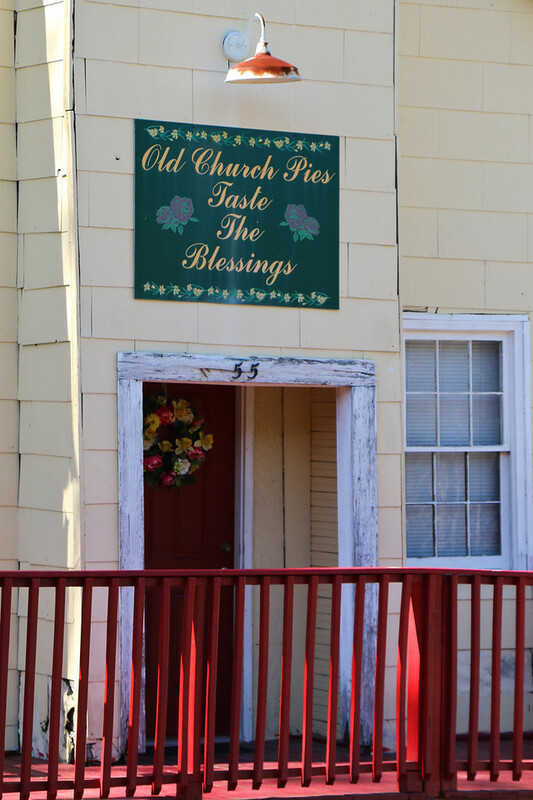 Old Church Pies, Yemassee, S.C. 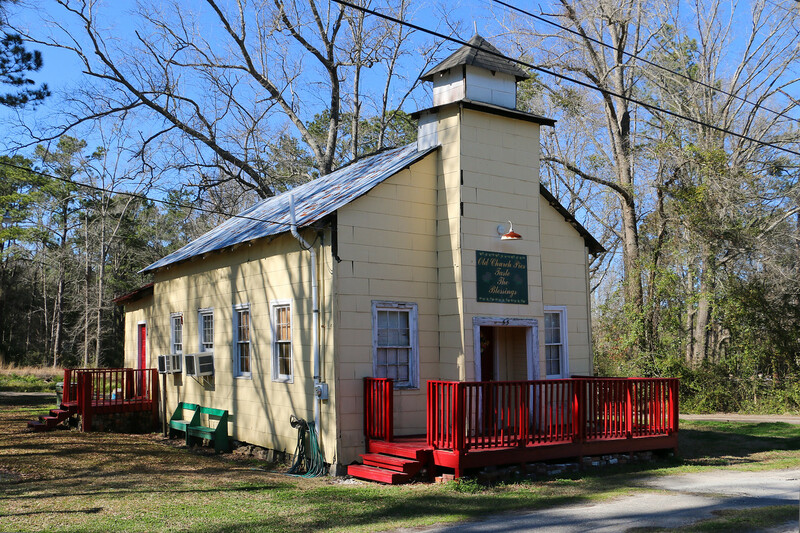 This weekend's Church Photo in Lieu of Attendance is the Old Church Pies chapel in Yemessee. Don't rush to your cars for a field trip because sadly, I don't think anyone has been tasting the blessings recently. Too bad! It sounds like a charming use of an old church building. Where did this weekend go and why did it go so quickly?